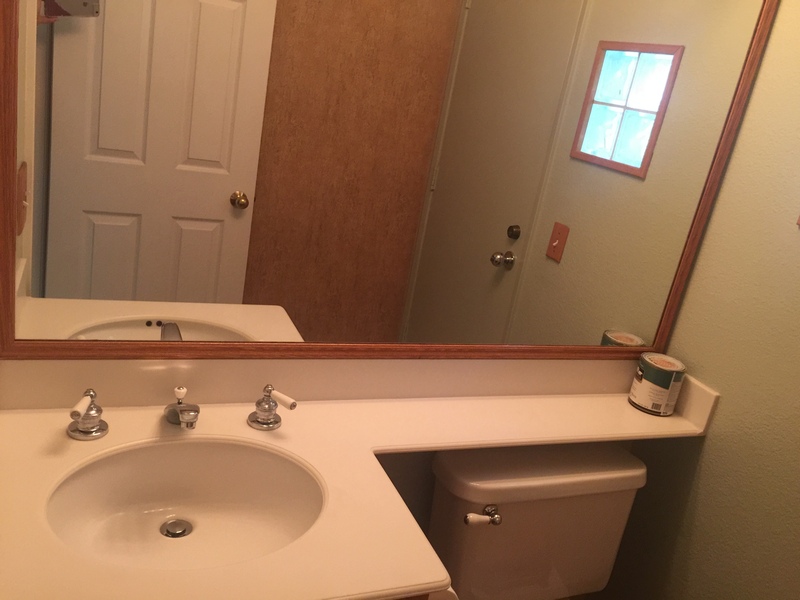 Got an Ugly Duck Property to Sell? It’s common knowledge that you’ll get the most for a property when it’s upgraded, staged, and correctly marketed. But for some Orange County home sellers, this isn’t an option. Sometimes there was a problem insurance didn’t cover, sometimes the property was inherited and needs 40 years of updates, or other times there is a divorce or a death that requires a fast move. 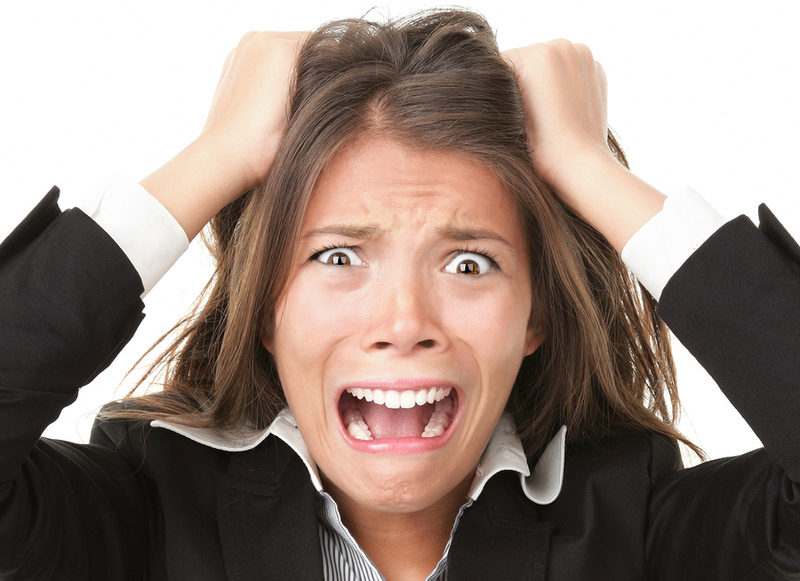 Whatever your case may be, there are buyers out there who want to exchange your ‘problem child’ for quick cash. This week, we interviewed one of our investors to learn a little more about the types of property she targets. She told me “Angie, we buy other people’s problems.” Here’s a deeper look into those problem homes and how an investor or all-cash buyer may be your solution to avoid headaches. If you’ve got a hoarder home on your hands, definitely consider your time and cost to clean it out. The process can take weeks, even months, especially if you have an emotional connection to any of the items inside. On top of that… under all the clutter is probably some deferred maintenance waiting as well. Rather than going to market with today’s buyers who all like everything clean and new, it may be best to strike a deal with an investor who will take the home as-is. You’ve had Thanksgiving & plenty of holiday parties here, and over the years your parents haven’t had any garage sales, and they have kept every memory packed away in the attic and 4+ bedrooms. Now it’s time to move them to a condo or assisted living facility, but what to do with all this STUFF? 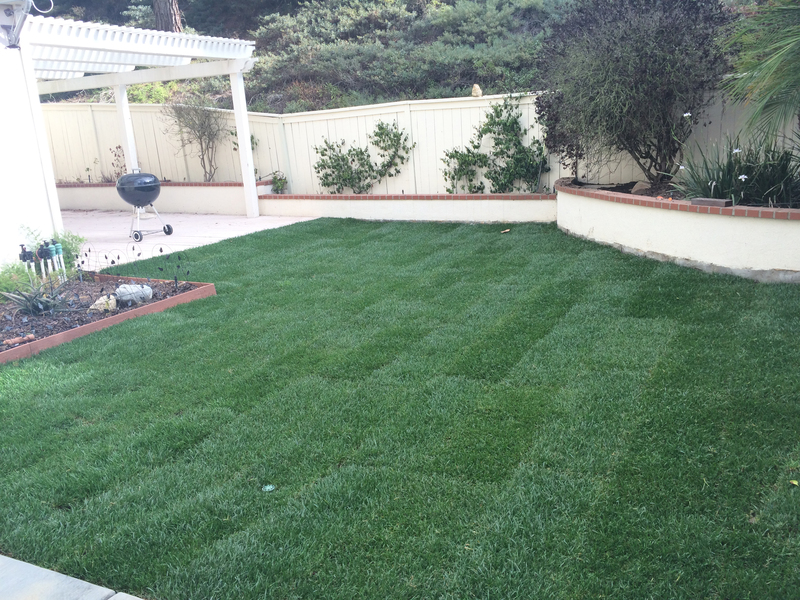 “…We purchased a property earlier this year. It was from an agent who had a client that she knew the whole family, and the mom had to go into a home. The kids did not want to deal with all of the stuff in the house, they just came and took family photos and a few things. We bought it as she left it – full of her things. We donated belongings to charity and then proceeded with the work. Ever tried to be an investor and failed? 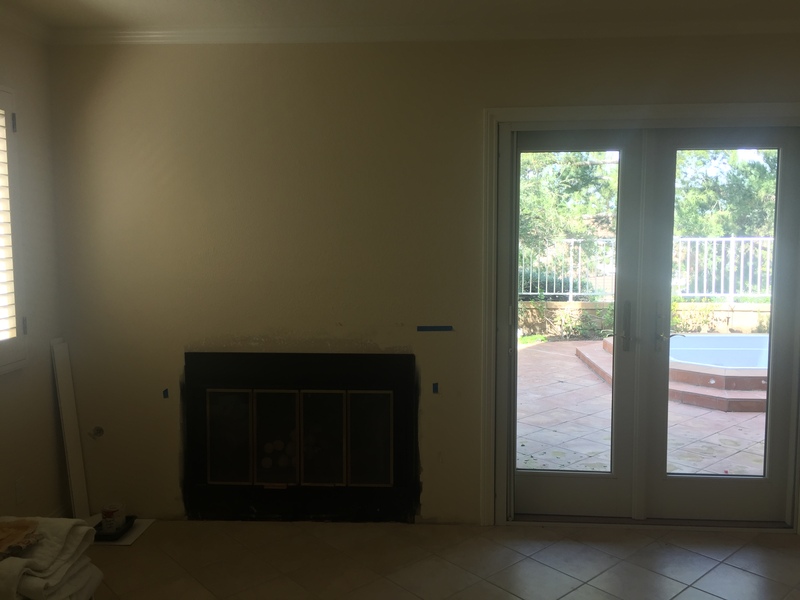 Ran out of money, time, or resources before the flip was done? It happens, more than you may realize. Especially with all the flipping shows out there right now! If you’re ready to throw in the towel on problems with the city, or a red tagged, unfinished construction, you’ll probably NEED to find a cash buyer or investor. Lenders won’t typically loan on partially completed construction. Sometimes, you just want out. You have other things on your mind. You don’t want to deal with a buyer whining about repairs, or people traipsing through your home when you’re trying to pack up and move out. And you definitely don’t want to sit with your future in limbo waiting for the lender who promises the world… but delays at every corner. Nasty divorces are a perfect fit for a cash sale; we’ve all got a story on that one. Sometimes it’s best to cut your losses and move forward on a new path. Like now. Ever walked into a home with too many animals? Barf. Ever try to sell a home with pet smells? Good luck! Homes that had a lot of animals living in them, that were not taken care of, can require a lot of time and attention to air out. 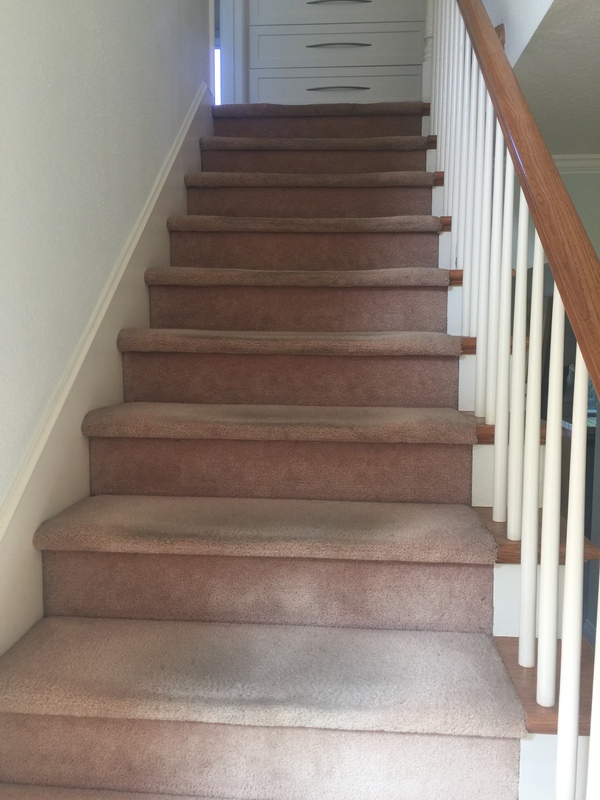 Plus, you’ve got the unfortunate situations that have feces inches deep on every surface including walls…damage to doors and baseboards from scratching… definitely a candidate for the investor buyer. The scenarios are endless, but for every home there is a buyer. It just may not be the traditional kind. If you’ve got a challenge on your hands, give the AskAngie team a call at 949-338-7408 or fill out the form below to schedule a consultation on the best way for you to sell without headaches. Droves of seniors are settling in the seaside community of Palm Beach Park in San Clemente, CA – a manufactured home development with it’s own tranquil beach oasis. This quiet retirement community is the perfect place to slow down, unwind, and just be one with the sunsets and ocean. Residents are just across the street from an exclusive private beach that is almost 2 acres, and the best part is they don’t have to pay 2 million dollars to get whitewater views and a walk to the sand. There are currently 10+ models to choose from, varying in size and price from 100-500K. 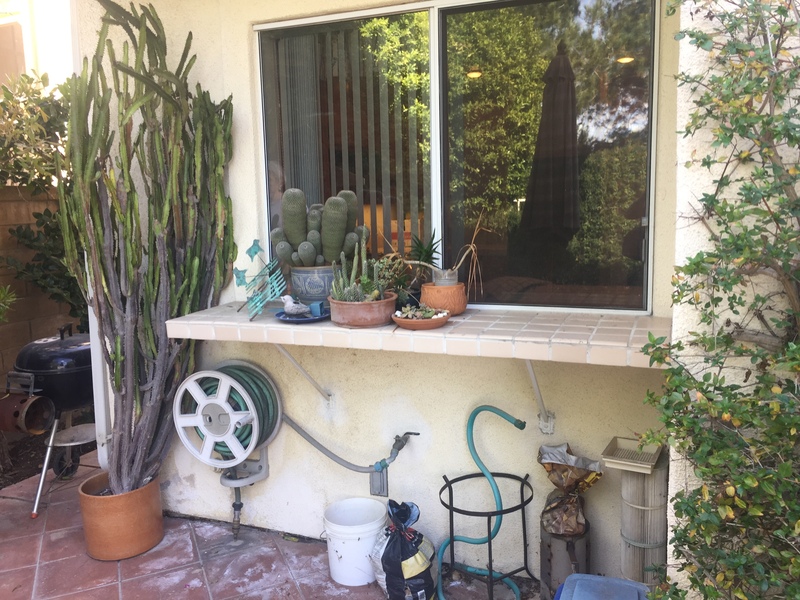 Truly, there is a home for every senior in this San Clemente treasure. Some coaches are fully upgraded, and others you can add your own personal touches to make it your own beach oasis! Luxurious amenities at the clubhouse include a full kitchen and bar, a library, and a game room with shuffle board. 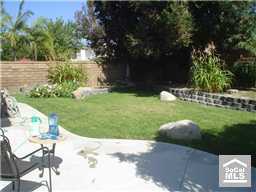 Also offered is RV parking, a car wash on site, and the salt water pool that is heated all year round. On the privately owned beach you can enjoy the volleyball court, picnic tables, BBQ area, and the bonfire pits! Palm Beach Park is true retirement living with wonderful neighbors, amazing whitewater ocean views, and breathtaking sunsets! “Walking down to the private beach and the different social events at the clubhouse are some of my favorite memories here at the park” JoAnn Cota, a homeowner, recently told us. “We love coming down from Buellton to visit the beach.” Another resident, Tom Mallett, states “The shimmering sunsets over Catalina Island are a true delight”. The AskAngie Team has two listings, 407 and 401 Ebb Tide Drive currently available for showings. Another listing on Bay will be hitting the market soon. Stop by and check out what Palm Beach Park has to offer on Sunday, March 6th from 12-3PM. Multiple homes will have open houses – you can tour many homes in one day and find the right fit for you! Please join us on Sunday, March 6 from 12-3PM if you have any questions or would like a personal tour feel free to call us on our toll free number at 877-230-3211 or email us at Angie@AskAngie.com.We look forward to seeing you by the ocean!! Standing at the end of the Balboa Pier, a Newport Beach coastline pic. 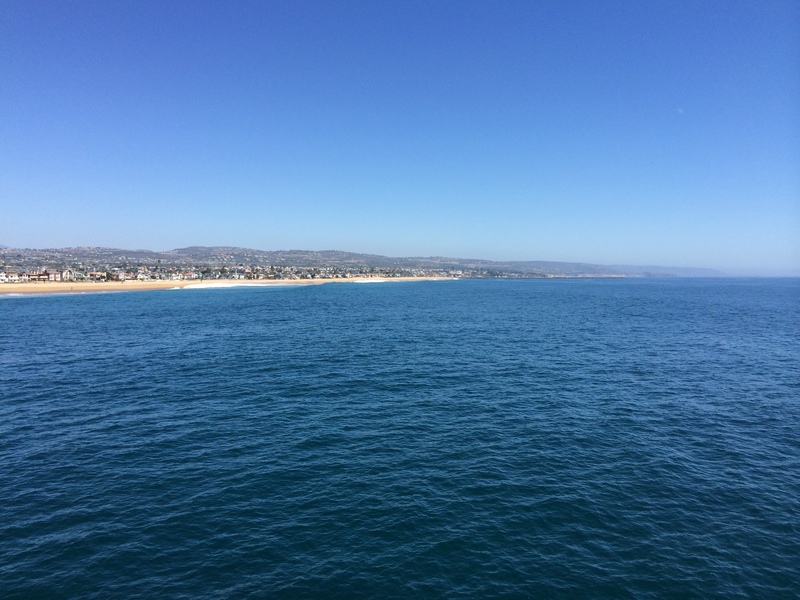 Gorgeous Newport Beach, CA – an ideal retirement and vacation spot for so many. Balboa Peninsula is seeing lots of changes this year – a new marina going in, lots of new restaurants and shops, multiple properties adding 2nd and 3rd stories – the area is truly in a ‘build up’ phase similiar to what we saw with Huntington Beach 10-15 years ago.For many, the “Newport” lifestyle is far out of reach. 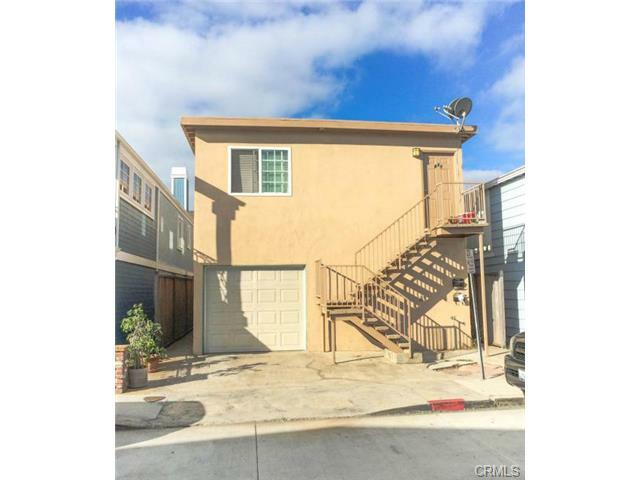 Currently there is only ONE lonely condo on Balboa Peninsula under 1 million dollars, and it’s HOA is almost $800/mo – OUCH! Is there anything affordable? Are there any opportunities? There sure are. Lots of times with the higher end areas, buyers will opt for a multi-unit property as a stepping stone to get up to their McMansion. They live in one unit, and rent out the other(s) so that the mortgage becomes affordable. Many property owners keep the multi-unit forever, because rental rates on the peninsula can be insane. Newport Beach vacation rents range from $150-1000 per NIGHT, so you can see the potential a second unit could have on your mortgage payment! 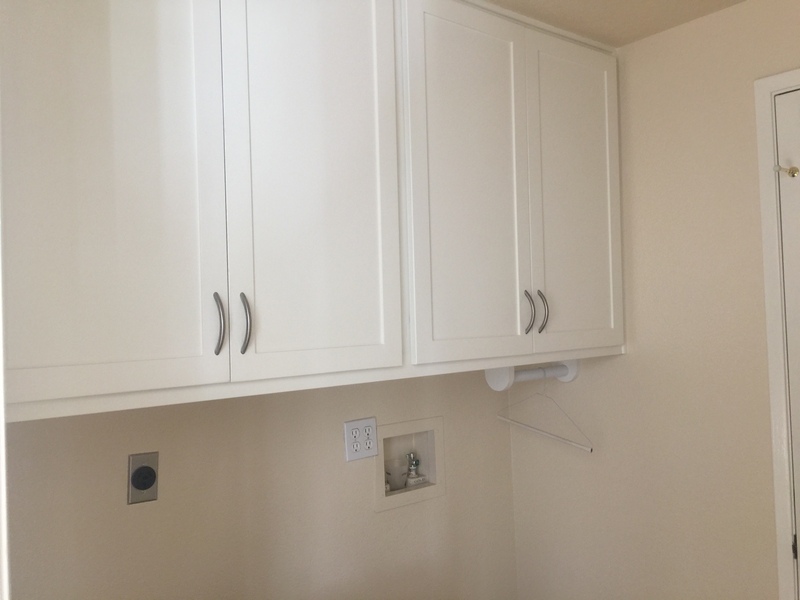 If you don’t like the vacation rental crowd, you can still rent on a 6 month or 1 year lease for a minimum of $2000/mo, even if the unit is the size of a closet without a garage or parking. Ya, Newport Beach CA is that expensive and exclusive. Situated in the bustling area of the peninsula, this duplex is walking distance to shops, beach, harbor, nightlife, and a ton of restaurants. It is only one block to the sand. Harding is a quiet, interior peninsula street (rare!) walking distance to the Balboa Ferry, Fun Zone, harbor, beach, shops, bars, Sunday Classic Car show, Catalina Flyer and Balboa Pier. Such an ideal location. 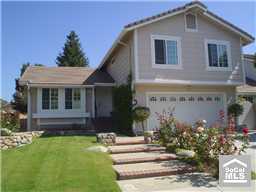 A tear down recently sold a couple doors down for about the same price.. so this property also offers big opportunity. 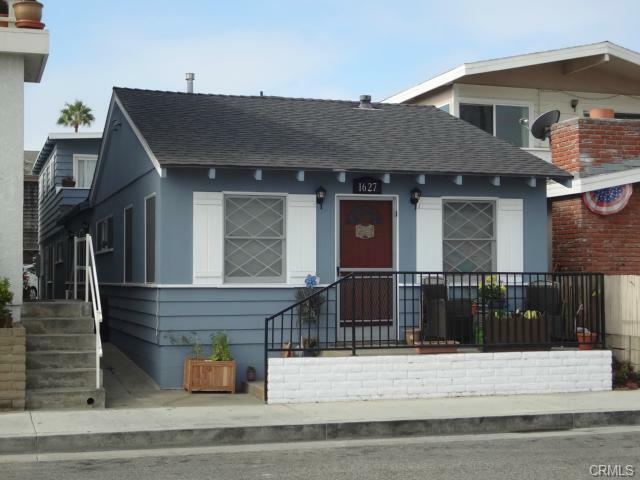 The only available peninsula duplex that offers units with more than 1 bath, this cottage style property is on the ocean side of Balboa Blvd with bigger units than the first two options. It’s the closest listing to the new marina under development, and it’s still close to the Newport Pier, harbor, shops, restaurants and nightlife. Villagio community homes – condos with backyards! 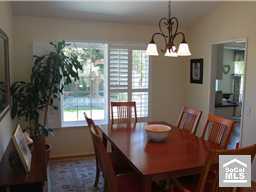 Have you been looking for real estate in San Clemente and turning up empty? Check out the Villagio community! 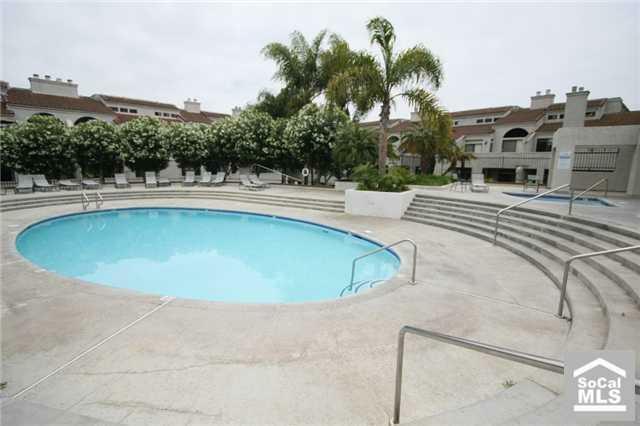 Villagio is located in Rancho San Clemente, and although they are technically condos, the entire community is detached! You’re getting a home for the price of a condo, so that makes Villagio one of the best priced communities in the entire city! Just 3 miles from the beaches of San Clemente, 1 mile from the Talega golf course, and 1 mile from shopping centers and high school, this centrally located community has it all. Many of the homes have ocean views, plus the community is quiet with very friendly neighbors. Want to see a home in Villagio? Hey, folks. An amazing Mission Viejo home has just hit the market. Why all the excitement? 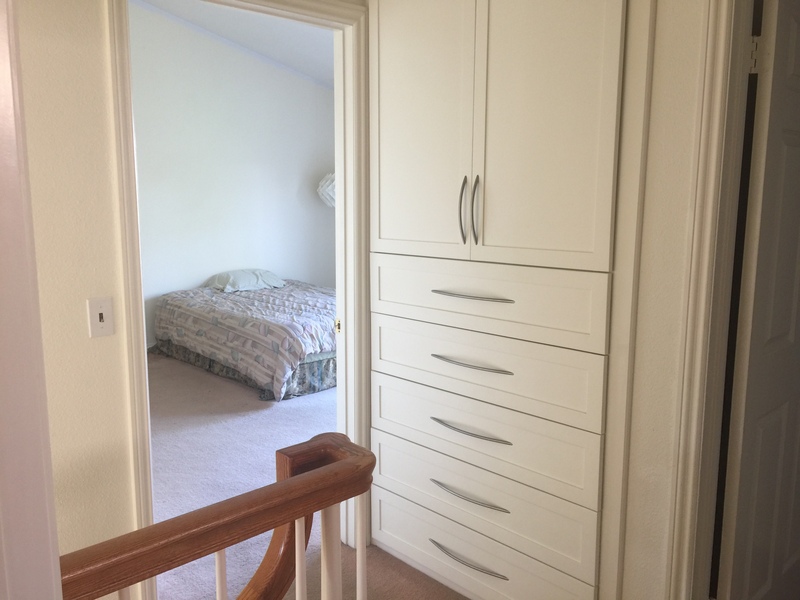 Because this ready-to-occupy, turnkey property has it all. And then some. 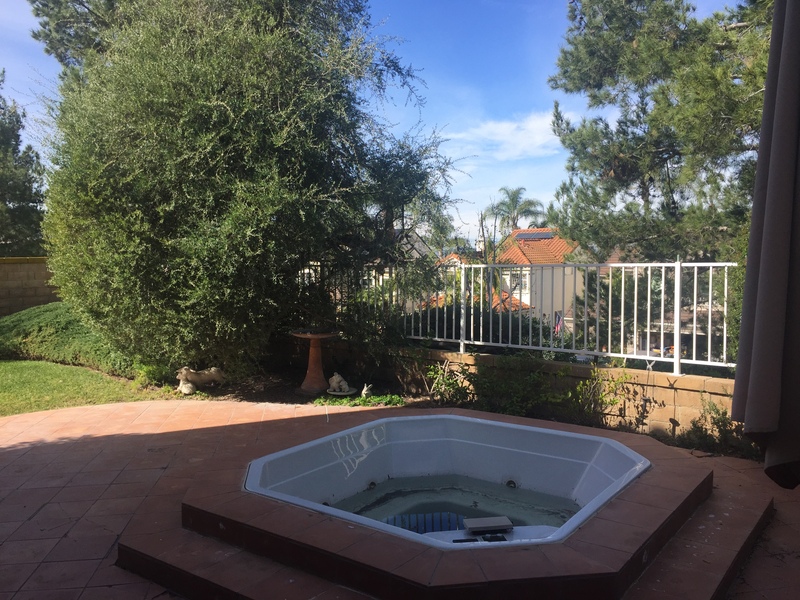 First of all, this adorable tri-level home is located in one of the most desirable cities in the world – sunny Mission Viejo. We’re talking an upscale community with family appeal, offering the best in schools, parks, recreation, and culture. 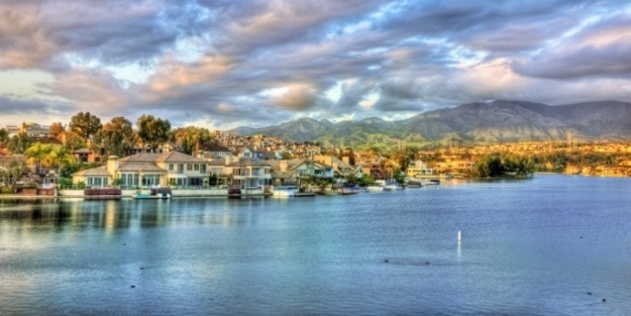 And, of course, there’s wonderful Lake Mission Viejo. Located at 26285 Golada, this home is a stone’s throw from all the fishing, boating, swimming, outdoor concerts, and sun bathing the lake has to offer. Unbelievably, this got-it-all property is offered at just $589,000. New windows, plantation shutters, granite kitchen counters – all in an ideal and spacious floor plan! 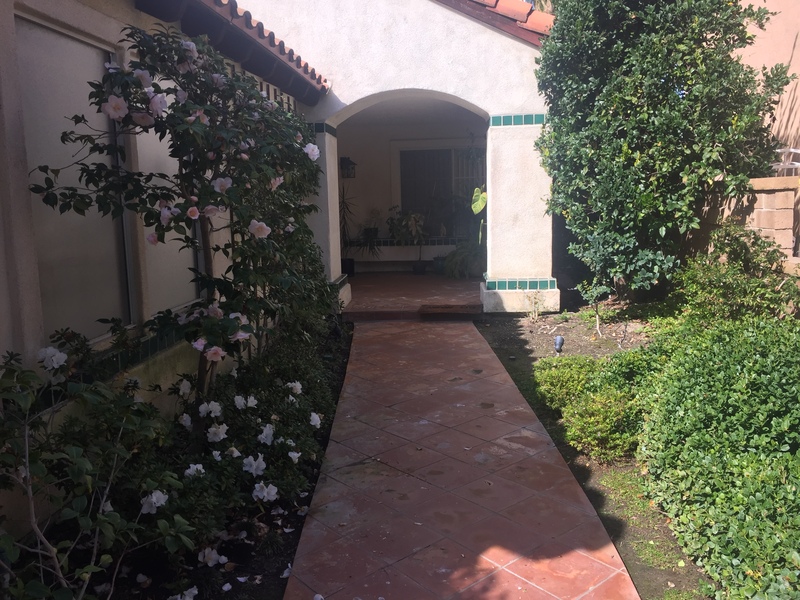 Quiet Street – Bask in the sweet fragrance of garden roses as you arrive home, and indulge your green thumb in the vegetable garden gracing the beautifully manicured back yard. Close Proximity to Freeway – Just five minutes away. Long commutes will be ancient history. 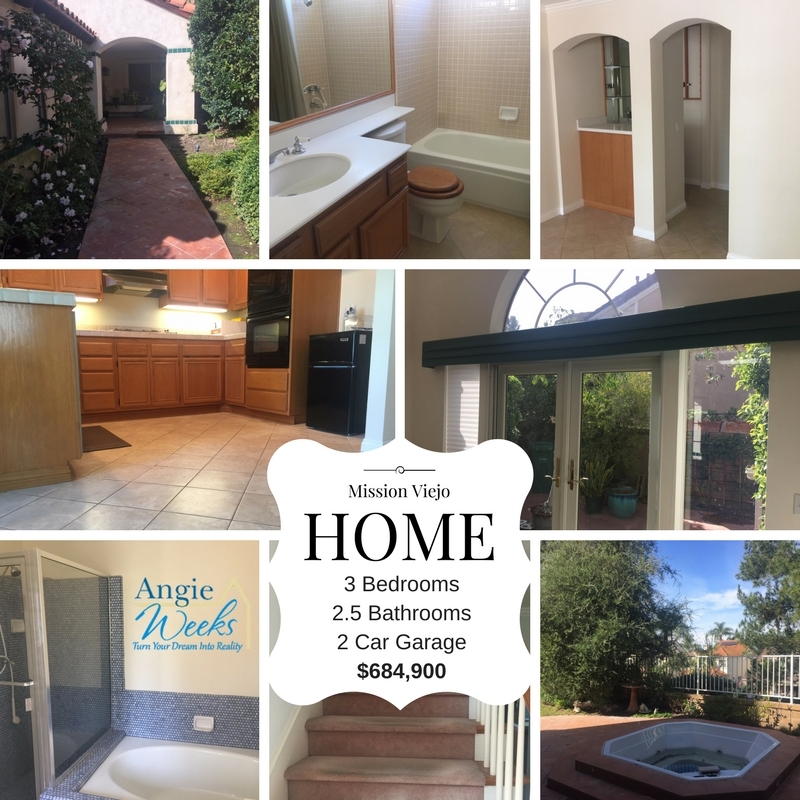 If you would like to experience this amazing Mission Viejo home for yourself or simply learn more about everything the property has to offer, I’ll be happy to help. Feel free to call, text, email, or tweet me. I can be reached at 949.338.7408, angie@askangie.com, @AngieWeeks or @WeeksTeam. Looking forward to hearing from you soon! Looking for a beautiful residence so close to the beach you could hop on your bicycle and reach sandy shores in minutes? 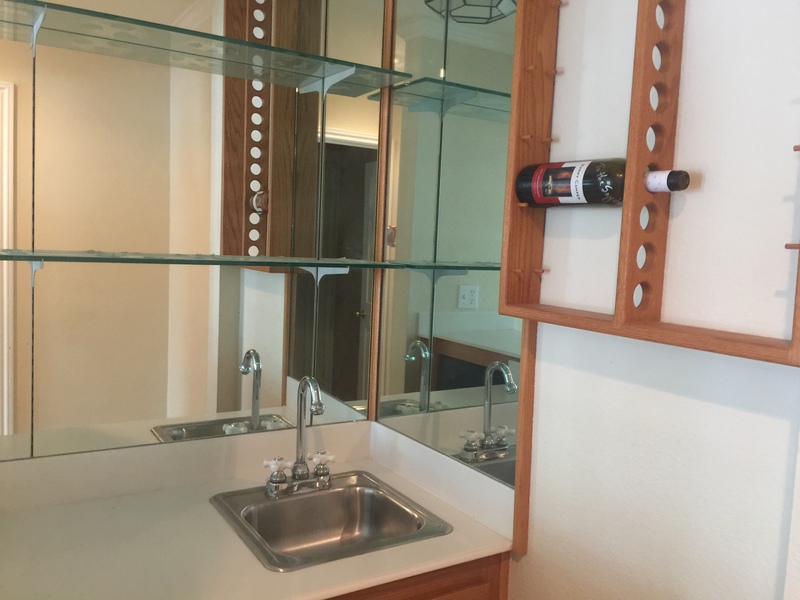 Then you’re gonna love this Huntington Beach Condo. 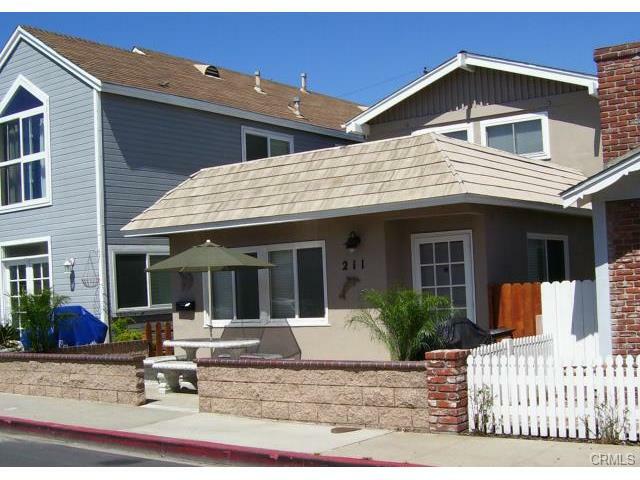 It’s a one level charmer with one bath, stunning hardwood floors, a cozy fireplace, and a balcony offering dazzling, beach breezes from Huntington Beach. 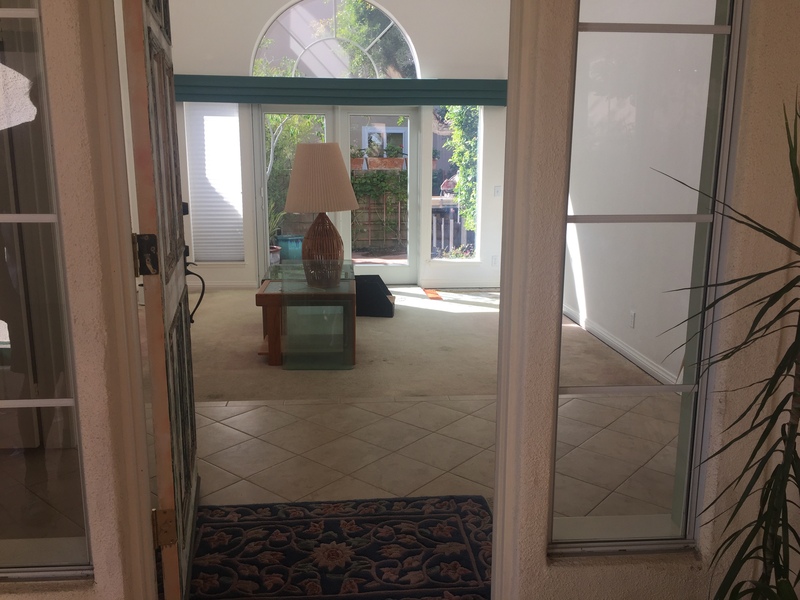 Located in highly desirable West Huntington Beach, this property is pleasantly close to Bolsa Chica Beach, Huntington Harbor, and the Bella Terra shopping center. To complement the relaxed beachy environment, the complex enhances your living experience with amenities such as an open-air, lighted tennis court, racquetball, sauna, pool, and spa, all set against the soothingly scenic wetland preserves. 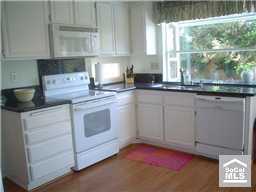 Since this condo is being offered as a short sale, the asking price as an irresistibly-low $175, 000. Such a fantastic deal is bound to get snapped up in the blink of an eye, so the best advice I can give you is get an early start. Cross Streets S/WARNER AVE, E/BOLSA CHICA RD. How much is the mortgage? Glad you asked! One of our Certified Mortgage Planner friends Derek Beisner has created this Financing-Flyer for you with a few different options – payment could be UNDER $1000/mo….OMG! If you’re interested in snapping up a great beachfront deal with this amazing Huntington Beach Condo, you may contact Angie at 877-230-3211 or angie@askangie.com to schedule a showing or get any of your questions answered. If you’re seeking a slice of the good life in Orange County, this Laguna Niguel Condo could be exactly what you’re looking for. 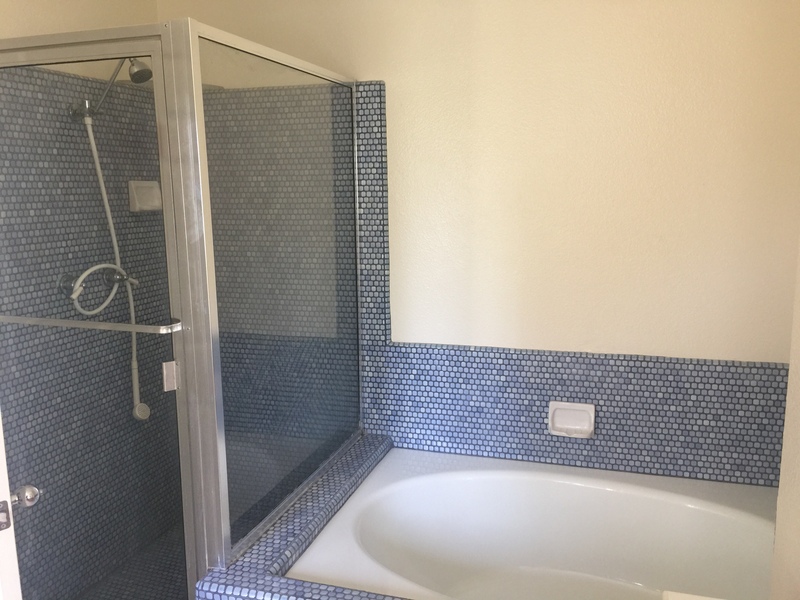 This is a wonderful listing that you definitely should have a look at. 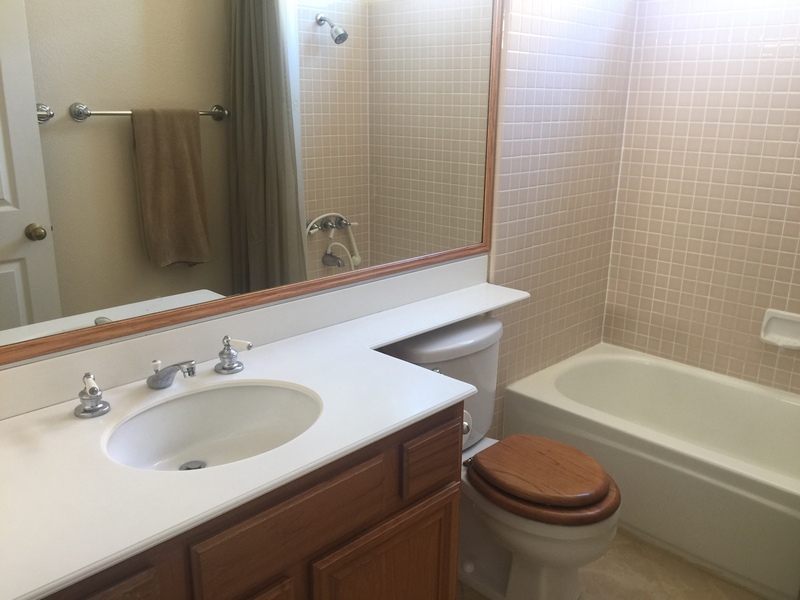 It’s a single story condo with two bathrooms and two baths creating the perfect space for a single person or a small family. Located in prestigious Laguna Niguel North, a community known for its excellence and charm, this residence is in an exclusive gated community that offers both security and a relaxed, inviting atmosphere. Individuals seeking a perfect blend of affordability and luxury will find this property irresistible, with an asking price of only $225,000. This is an incredible price, considering the first-rate location of the property. The only drawback is that the neighborhood is not FHA approved. A deal this good won’t stay on the market long, so I encourage interested buyers to get in the game early. 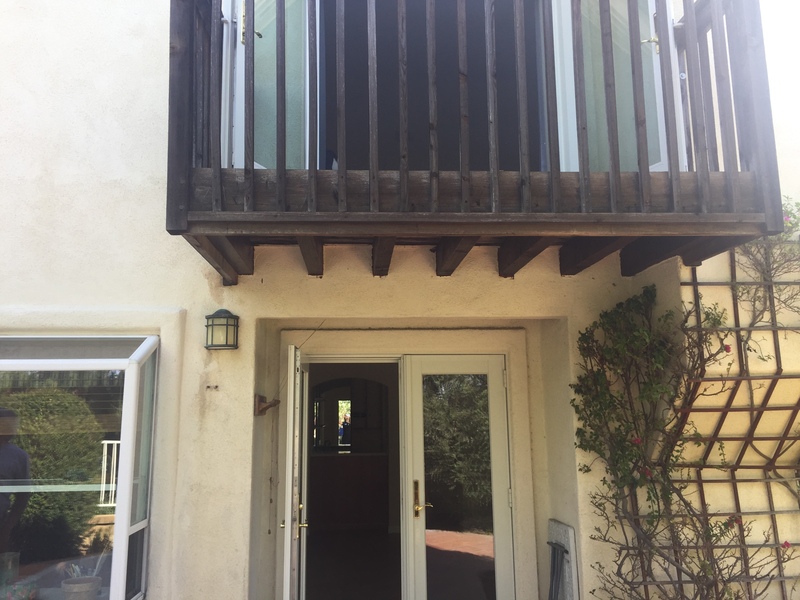 If you’re interested in grabbing the deal of a lifetime with this amazing Laguna Niguel Condo, you may contact Angie at 877-230-3211 or angie@askangie.com to schedule a showing or get any of your questions answered. Laguna Beach homes – WOW whatta view!!! We love selling Laguna Beach homes! Today is absolutely GORGEOUS, and I am sitting at 637 Loretta Drive in Laguna Beach. 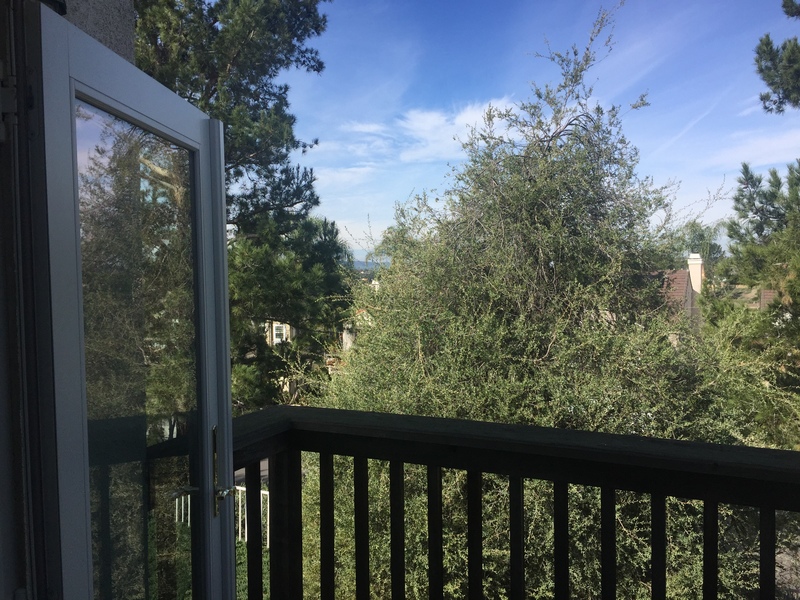 The view of Catalina island is completely unobstructed… I can also see South Laguna, North Laguna, and Newport Beach from the wrap around balcony. Its so beautiful, I promise my treo pictures don’t do it justice but I will post below anyway. Alright, alright. I’m big on views. I’m sure you want to know about the property… Its immaculate 🙂 The trilevel offers 3 bedrooms, 4 bathrooms, 2 car attached garage and 2700 square feet. 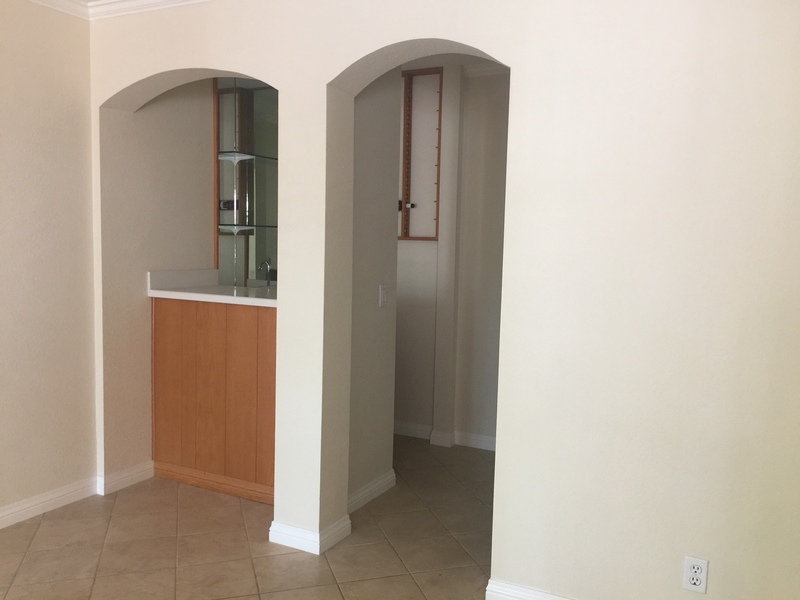 EVERYTHING is upgraded, Hardwood floors, granite counters, a nice corner fireplace and wonderful dining/living area to entertain, patios and balconies off of EVERY room, master bathroom with a perfect view of the ocean…definately somewhere you would want to check out. 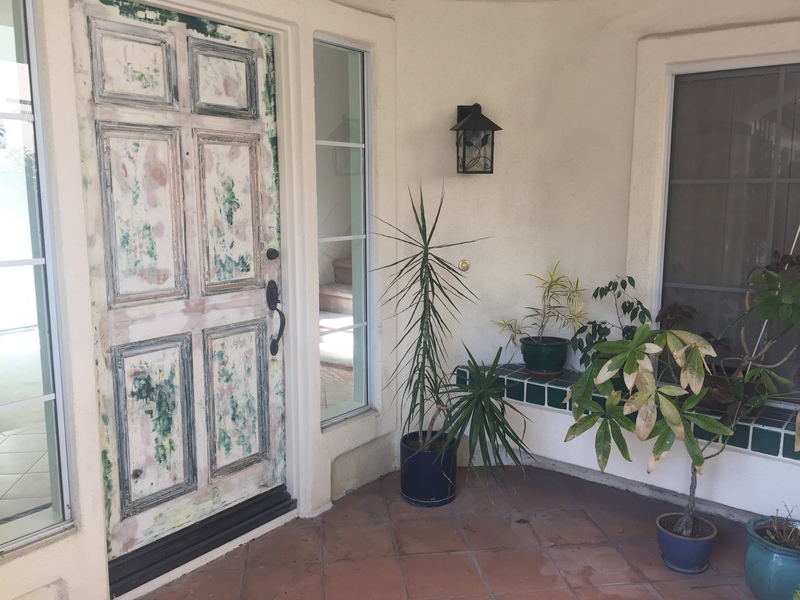 Laguna Beach is ON SALE right now, there’s 3 active listings on Loretta alone. One is going for 4.2M, the other for 1.6M, and the one I am holding open today is asking 2.4M. What a range, huh? This is one of the reasons its so important to work with a Realtor, we can help you understand why the house next door is twice as much.